Just seeing these questions...sorry! Audi on demand rents them, just in SF. Expensive but we would do it again in a heartbeat. One of our P.A.s drives an S3. She looks AWESOME in it......probably because she's SMOKIN' hot, smart as hell and loves to drink high-end beers, LOL. The title is perfect for this post as I know no one here is into this car though I am pretty psyched ... I just ordered a car that will pretty much look like this one, it is a 540 idrive Msport black/black and really is pretty cool. It does 0-60 in the high 4 second range, has some cool features like super comfortable massaging seats and should be here in 6 to 8 weeks. The other cars considered were the S5 sportback, the new redesigned A6 and the MB E450. The S5 sportback was awesome though I felt it was a little too sporty and a drop too small, if this were my only car I would go for it but I was kind of looking for something on the comfortable/sporty side where the S5 is sporty/comfortable ... if anyone is considering this car the sound and feel of the engine is awesome, the transmission is programmed perfectly and overall this is one hell of a car !! The E450 was beautiful, great engine, great power, really nice feel and beautiful interior ... almost went for it but I think my wife wants an E class next year when her car is up though most likely the E350 and i didn't want 2 of the same cars plus I just kind of fell in love with the Bimmer. The redesigned A6 won't be out for another month and while I am sure it will be a great car the lease will be ridiculous ... probably around $1100+ a month being it is new, my salesperson told me a 3 yr lease is in the mid to high 900's and I do 2 yr leases ... I'm not spending that kind of $$ on a low $60k car. It will be a great car to consider in 2 years when this Bimmer lease is up. Anyway I test drove the 540 and it feels like the perfect blend of comfort and sport ... the seats like I mentioned are super comfortable, the engine feels really good, the steering while heavier then my A6 has a really nice feel and after my 3rd test drive I knew this car would be perfect for me. It feels like they took the 5er up another notch. Somehow missed this thread previously. Congrats! 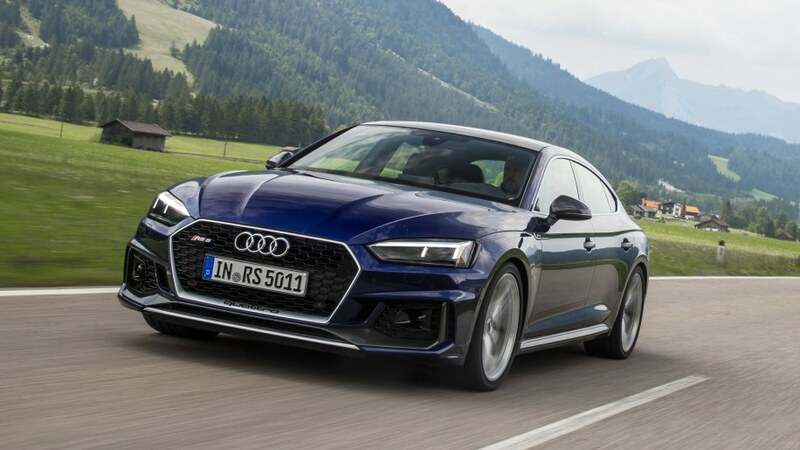 The 540 is on my list for our next car as is the S4/5 you mentioned back in August. Similar to your original post, I was also impressed by the throttle response in the a4. Am assuming the DCT might play a part in that which the S4/5 no longer has (they went back to tradtional ZF 8 speed). Hard to beat those BMW multicontour seats (with Nappa leather) that are only available in the 5/x5 and up. Surprised the leases are so bad on 540s- with the market being so SUV focused I assumed that good deals can be had on sedans. Speaking of which, i'm also intrigued by the x3 40i. Seems to offer nearly the same performance as an S4 while being an SUV. Also addresses most of the issues that the previous gen had. There were no good deals, I usually end up paying more then most for he same car because I do 2 year leases but even for a 2 year it was ridiculous but I bit the bullet ... there is just no way I’m going with a 3 yr.
Btw I like the new X3 as well though I only drove the 4 cylinder model ... the 40i must be great.